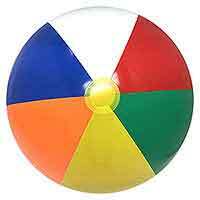 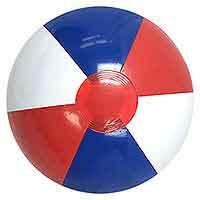 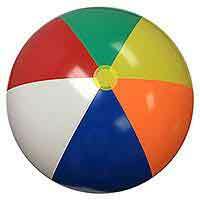 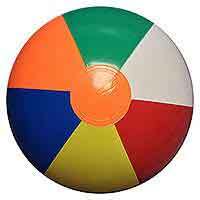 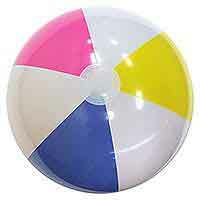 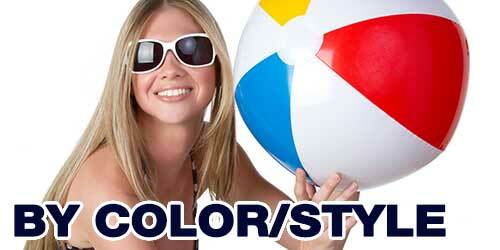 Nice, Durable, Multicolor 20-Inch Deflated Size Beach Ball from Champion Sports. 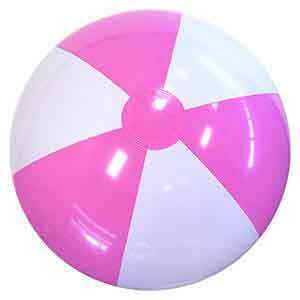 These are what we call 'tight' manufacturing because they are slightly smaller than most Beach Balls of this size. 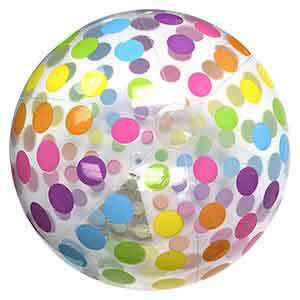 These are six panels, six colors in White, Red, Green, Yellow, Orange and Blue with various colored end Circles. This Beach Ball does not have a safety valve so we LOVE that for easier Deflation. 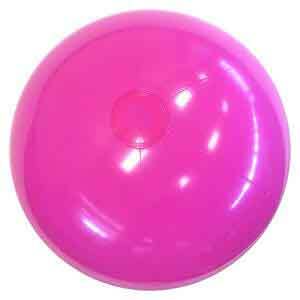 Just pull the valve tab and the air escapes. 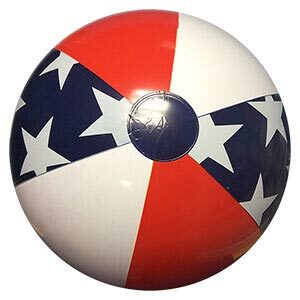 This can make inflation a bit challenging as safety valves keep air in when the tab is off but quick reflexes make these the perfect Beach Ball that is one of our longest running series and popular brand. 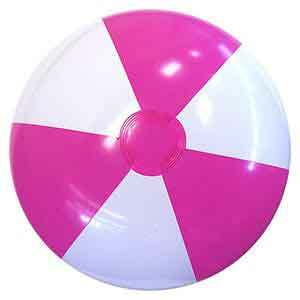 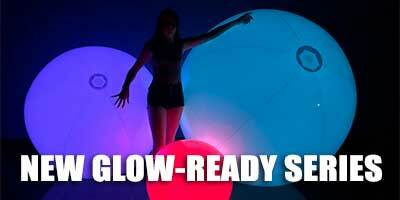 When fully inflated, these beach balls stand about 14-inches high. 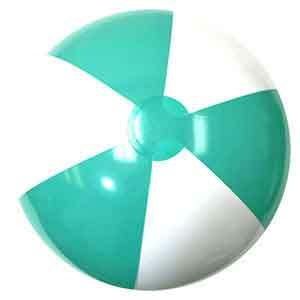 Hot off the truck, these are very nice beach balls. 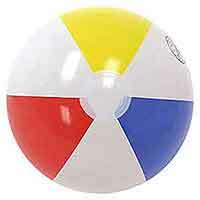 Come in multi-colors (Yellow, Orange, Blue, White, Red and Green) and tough at the same time. 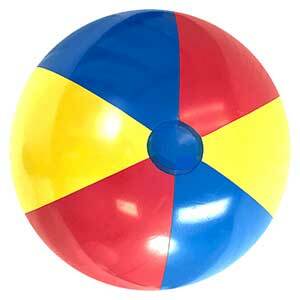 Currently available in three sizes. 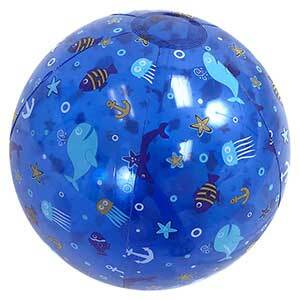 Packaged in individual poly bags. 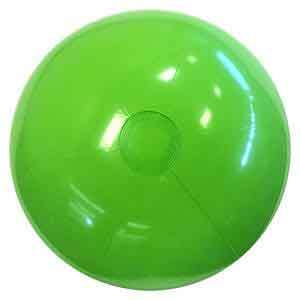 These ball contain non-scratch, non-safety valves.